Was Eden Really Near the Tigris and Euphrates as Genesis Describes and the Whole Place Was “Moved” After the Fall? Our small group is studying the topic of Heaven and I have a question concerning the tree of life being in the current Intermediate Heaven. It was originally in Eden, which has been said to be in Iraq...now nothing like Paradise. Was Eden really there, near the Tigris and Euphrates as Genesis describes and the whole place was “moved” after the fall? Just trying to reconcile that it was originally a physical identifiable place here in our current dimension on this Earth, that is not at all like we picture the walled garden of Paradise where the tree is now located. 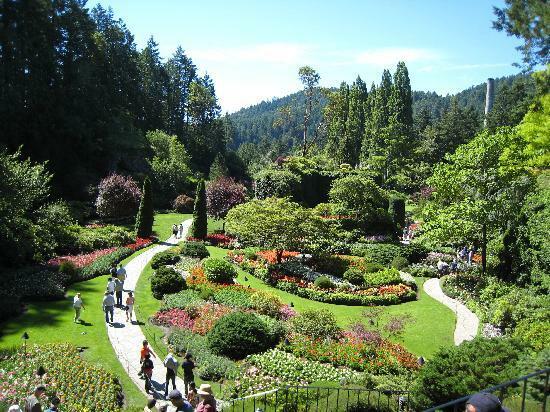 “Paradise” in the original language means something like, “a beautiful, manicured, park-like ‘garden.’” I think of Butchart’s Gardens in Victoria British Columbia. Paradise became one of the titles for Heaven, since it too is such a beautiful place. Jesus said to the thief on the cross, “I say to you, today you will be with me in Paradise.” So in the interim, we have to go away to get to that place. Now I will give my belief about this subject. It is not a fact, it is merely the way I put together these things. Originally there was a paradise, in time and space, in the vicinity described in the Bible in Genesis. It is no longer there because God took it away. Time, geologic changes, catastrophes, weather patterns, etc, have also contributed to removing all traces of such a place. Randy’s book Heaven is all about when, where, and how, Heaven will again come to Earth. I believe at least in some general way, paradise will again be on Earth with God Himself walking among us, being our light and life. Those “magical” trees of life and knowledge will again be among us, and finally in the last chapters of Revelation, all will be again as it once was before the Fall. Will the New Earth simply be a return to Eden and will we become like Adam and Eve were?